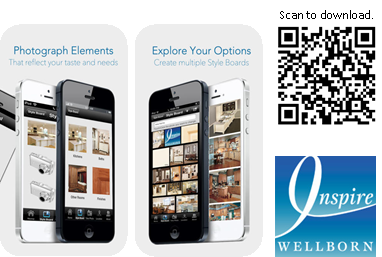 Wellborn has an app for your phone which combines your style with your home design. This can be used with your customers too. Inspire allows you to create Style Boards using your own photos, as well as photos from their galleries. These Style Boards will reflect your life with designs that define your personality and what makes you uniquely you. The app offers color and style options for your redesign. From here, you can stop by one of our Design Centers and take your inspiration and make it a reality!